The Seagulls and their large contingent of away supporters will have mixed feelings about the outcome of their entertaining and incident-filled opening fixture of the 2017/18 SWPL West Division campaign. 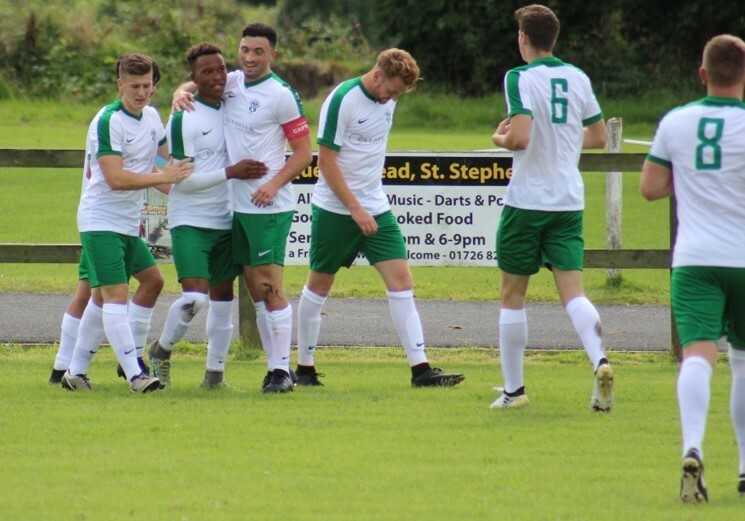 Against an experienced St Dennis side expected to do well this season, Jason Blunt’s side enjoyed a superb first hour, building a 4-1 lead before conceding a controversial goal on 72 minutes and then a further two goals near the end. The individual highlight was a magnificent hat-trick by striker Jorome Slew. The former Sheffield United youngster, a recent recruit to Blunt’s growing pool of talent in the newly-established Academy, scored the first in the 8th minute, beating two defenders before sending a fierce drive inside the post from 20 yards. By contrast, his second on 31 minutes was a delicate lob over the onrushing goalkeeper after a long ball forward. And the hat-trick came at the end of the move of the match, as Luke Johnson stormed down the right wing to put in a long looping cross which was volleyed home first time by the perfectly-positioned Slew on the far side of the 6-yard box. Fortune had smiled on Mousehole after 17 minutes as Kevin Lawrence’s shot from the edge of the box squirmed under goalkeeper Brett Allen’s body for a 2-0 scoreline, and again it looked like the visitors’ day on 70 minutes when Steve Parker-Billinge produced a great diving save to beat out a penalty with the score at 4-1. But two minutes later, after a narrow offside decision inches inside the Saints half, the wind-assisted indirect free kick sailed straight into the Mousehole net, only for referee Steve Nute incorrectly to award a goal rather than a goal kick. The error gave St Dennis fresh impetus at only two goals in arrears, with their direct play now exposing The Seagulls defence and resulting in two goals in the 88th and 90th minutes to complete a comeback in similar fashion to the 2-2 draw at Trungle Parc in January. 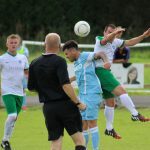 Blunt will be pleased with the intelligent and progressive play that put Mousehole in the ascendancy for the first hour – and could have led to an even bigger goal tally – but will also be looking to reinforce his defensive strategy after conceding goals in the latter stages of recent matches from possible winning positions. As evidence of early progress in implementing Mousehole’s new football philosophy, 8 of Saturday’s First team squad were Academy members aged 19 or under, bringing the average age of the squad down to the early 20s. In the context of the quality of football played and the point gained from a difficult opening match, this represents a great start for youth. In the meantime the club will continue to offer trials to prospective Academy members based both locally and further afield. This Wednesday, Mousehole make the customary early-season short journey for a floodlit fixture at Porthleven (7.30pm kick off), who under experienced new manager Alan Carey made a good start to their campaign on Saturday with a 3-0 home victory over relegated St Blazey at Gala Parc. Then on Saturday (19th), in the third of their opening sequence of 10 away league matches following major ground works at Trungle Parc, The Seagulls travel to the far corner of Cornwall to face Millbrook (3pm). 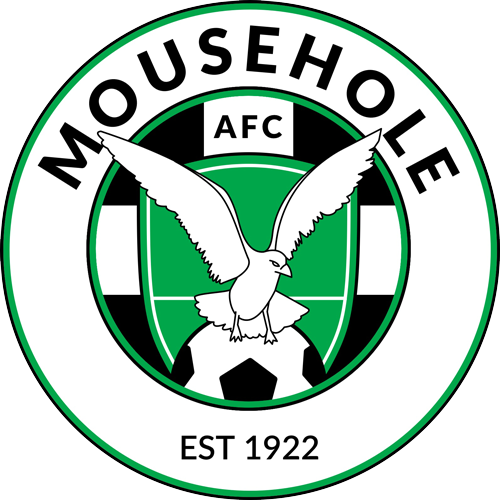 Mousehole scorers: Jorome Slew (8, 31, 62), Kevin Lawrence (17).